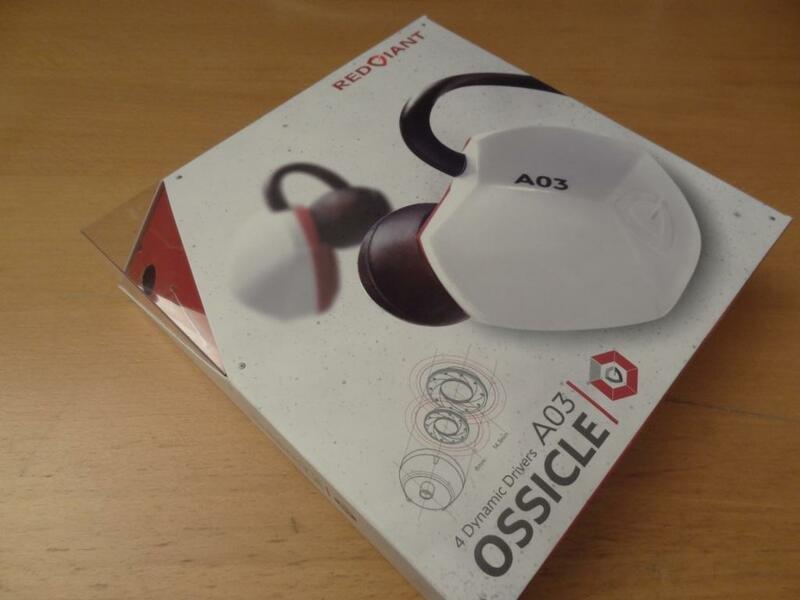 First of all, I would like to thank Rob, over at RedGiant for sending me the A03’s for review! Thanks Rob! 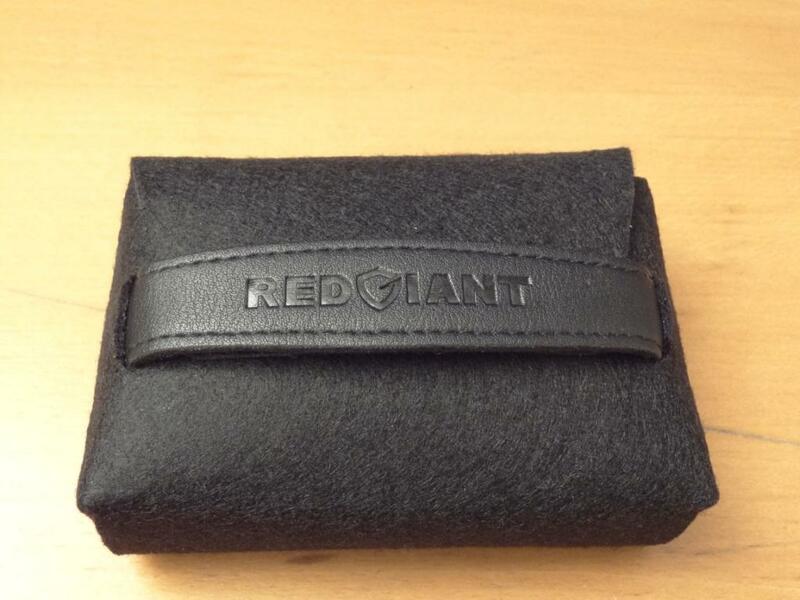 The RedGiant A03 Ossicle, also known as the A03, is a dual dynamic earphone, which means 2 dynamic drivers in each ear (8mm & 14.3mm drivers) – You can read more about it, and some of the other specs, over on their website. I have to say that the A03 really impressed me at first listen, and still ceases to amaze me. That said, it’s sound signature isn’t for everyone and some might even have some fit problems. So, let’s see how well it fairs! The packaging of the A03, was a little hit and miss – I did find it quite cool at first, but then immediately after a little annoying. The outer packaging is actually very nice, and very well thought out – I found it to be truly a finished product, where attention to detail was greatly paid attention to. However after opening the box, I found the packaging within the A03 all a little confusing, almost like a jig-saw puzzle to put it back. it is quite a fun, and cool idea at first, but after the first unboxing, when you want to put it back together, so to speak, it’s almost impossible and actually quite frustrating to get back to the original state it came in. So, a little more simplicity in the inner packaging would be better, in my opinion. The accessories provided are quite standard – You get 4 selection of soft black silicone tips: “Extreme Bass”, and 3 sets of black tips with red cores: “Natural Acoustic”. I found the tips to do pretty much what they say. The red cored tips provided a little better mid range, with a slight decrease in the bass department, and the standard looking black silicone tips provided a better bass response for a slight decrease in the mids. Not very apparent in change, but a light sonic difference. One thing that struck me, was the yellow rubber ear rings, known as the “O-Ring” (quite clever branding – if you think of the Earth, Galaxy & a red giant!) . These little rubber rings are quite intriguing; They basically go within the silicone tips to provide you better comfort. I personally haven’t used them, nor really felt uncomfortable wearing the A03 at any periods. The 2 rubber rings have 2 separate sizes. The small one to fit smaller tips and the larger one to fit the larger tips. 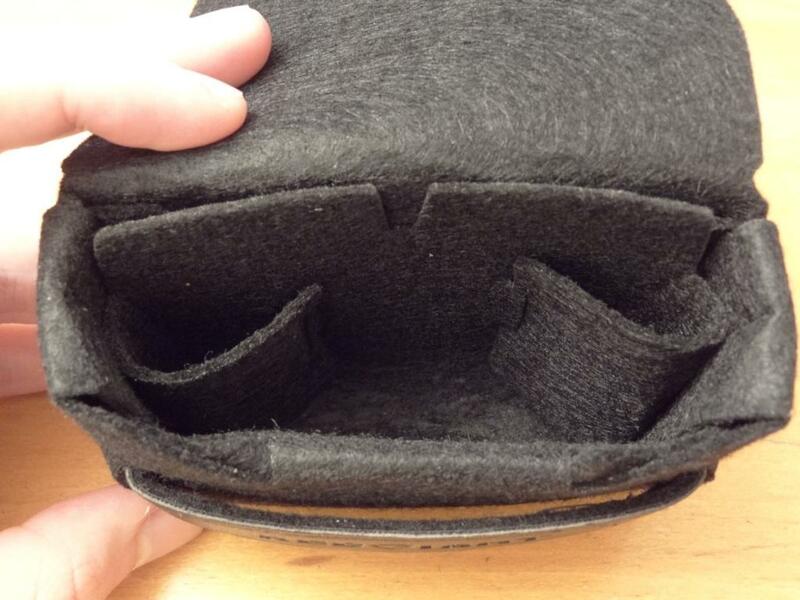 The case provided, is actually a pouch, that literally transforms – not quite like Optimus Prime, but getting there. Within the packaging, when you open it up, you will see instructions on how to open your pouch and transform it into another pouch. Which is all-in-all quite clever again, and quite well thought out. The pouch therefore is quite soft, and not made to be squished – so your earphones aren’t really protected in there, and neither is it really small enough to carry around with you. So the pouch for me, is just a little like the pacakging, cool, but then not really useful afterwards. I would have preferred either a small carrying pouch, or a solid case. My overall impressions were put shortly: Pleasantly surprised. The packaging was special, the pouch was special, the tips especially with their O-rings was different and intriguing and more so the earphones were different from anything I had listened to. So my overall impressions were good. The built quality on these is quite good. The over-the-ear soft hook is nice, it’s main problem is that it doesn’t really hold that well at times, but that’s quite rare for it to fall off my ear. The reasoning behind the design of a soft over-the-ear hook is quite simple: It can be used straight-down too. However to do this, you would have to switch left with right – and personally I find fitting it wearing it straight-down quite hard. 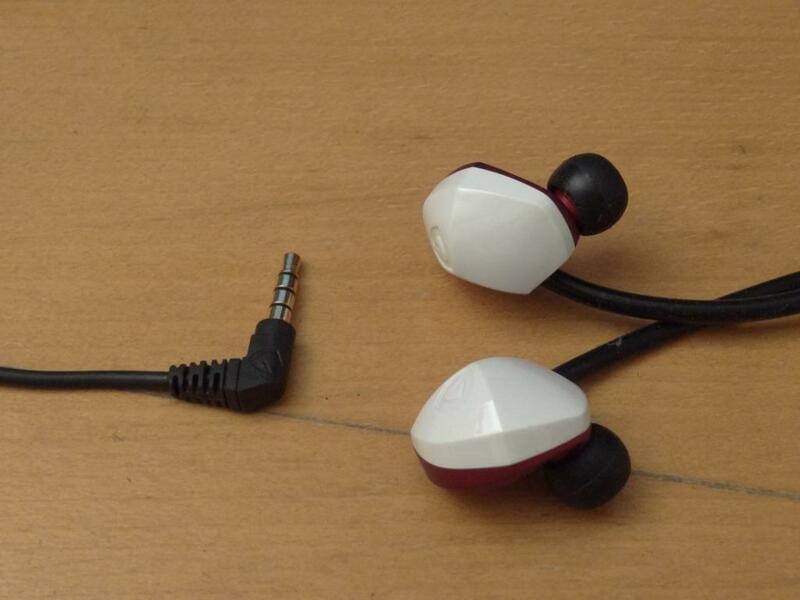 The wire quality is quite good, however you get microphonics if you wear the wire straight-down, just like the A04 does. The jack is terminated by a 3.5mm L shaped gold plated jack, which is in itself well designed, and quite a cool jack, with the RedGiant logo engraved into it. The splitter is also well thought out, as it has a red coloured splitter, meaning you can tell were the splitter is. Overall, the build quality is good – I guess my only remark is the microphone. This only works on Apple devices, and doesn’t work on my PC nor on my Android phone. I would like to see RedGiant make a non-mic version for the rest of the population. 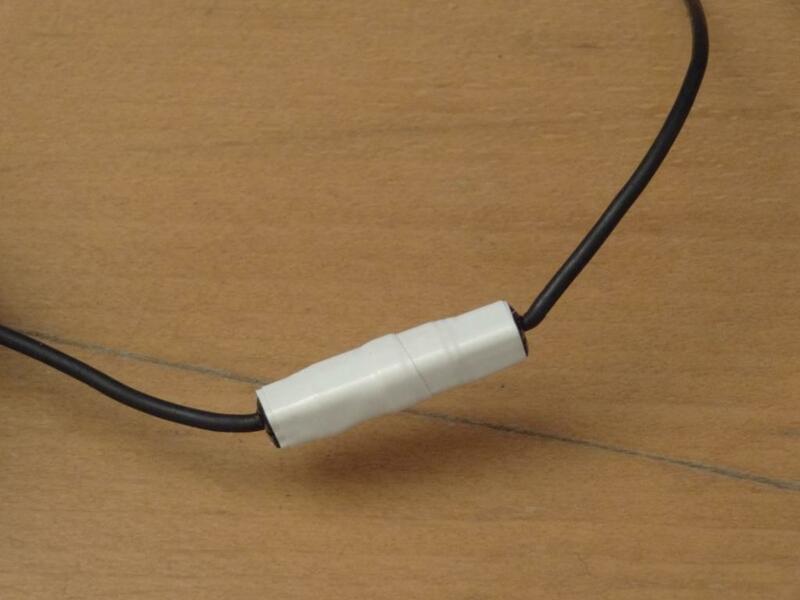 Or make the A03 with a removable, cable. I’m sure people wouldn’t mind paying a little more for a removable cable facility. To counter the mic, you can plug it into an amp, like the ZO2, or if you want to use it on its own, then do as I did and apply tape, firmly, around the mic. I labelled it the “tape mod”! 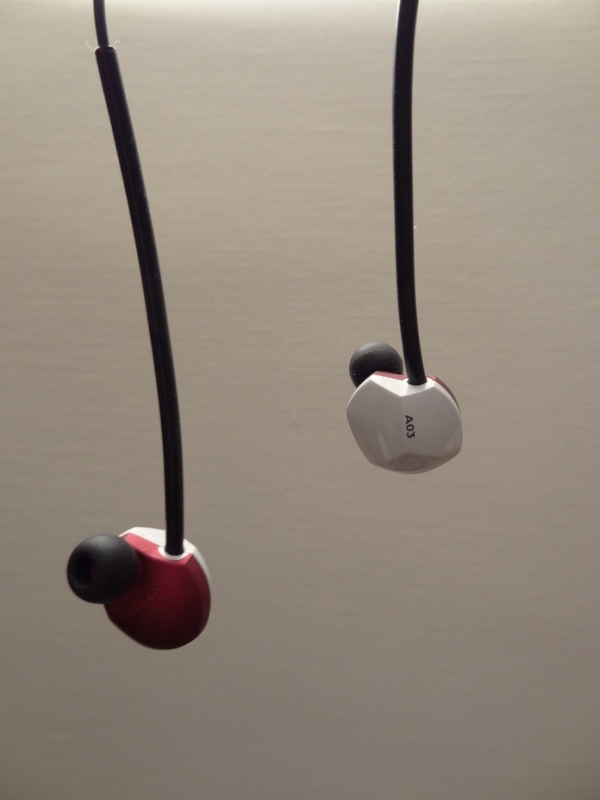 The look of these earphones reminds me of a shaped rock, which has been sliced in 3 different directions. It really looks ergonomically designed, and futuristic. It really depends on your tastes, but for me, I find them quite cool. That said, I would have preferred them in black, rather than white, as they stick out of your ears quite a fair bit, it would have been better if they weren’t as “flashy” in my ears. 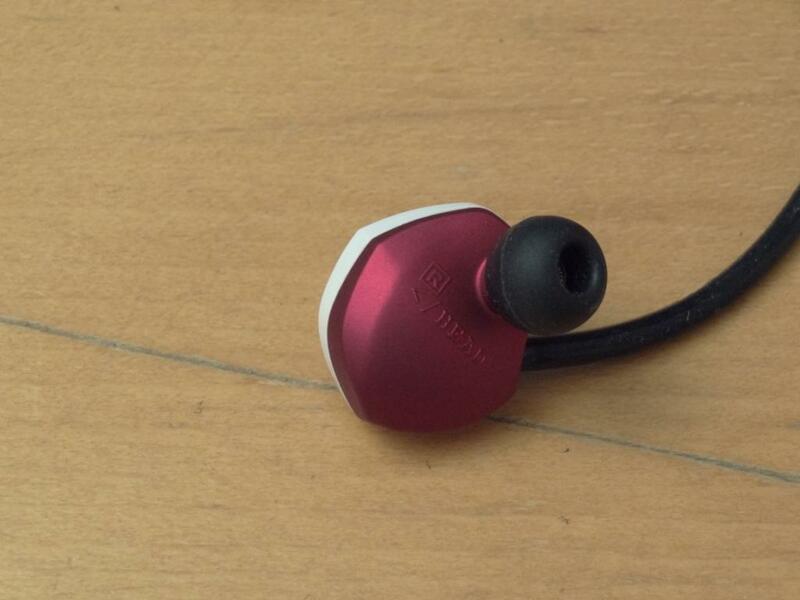 The inner bit of the earphone, looks like it’s painted in a red metallic colour, which is very nice to look at indeed! Almost like a car paint-job. The isolation I found wasn’t great at all – In fact it didn’t block out much noise – outside, walking with cars passing by, I could hear the cars perfectly. However, after putting some TX-400 Comply Foam tips on them, the isolation became much better. 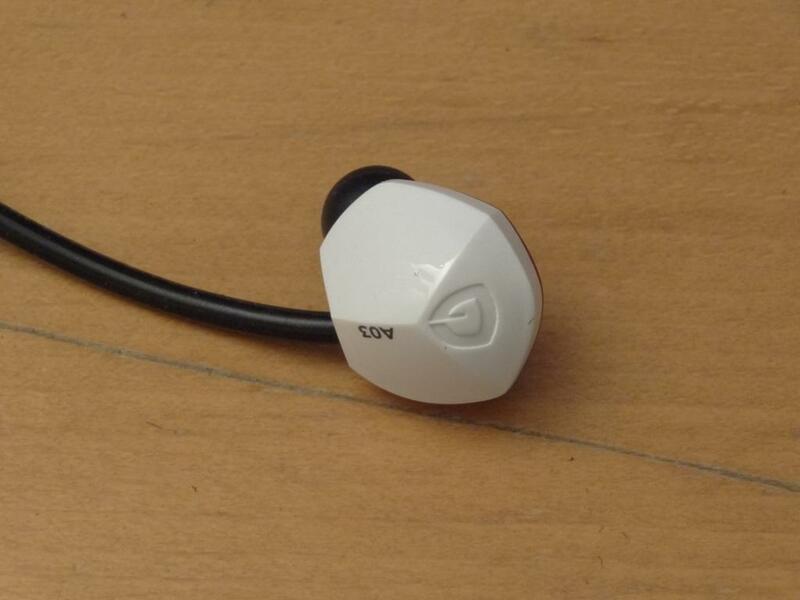 The reason it doesn’t isolate well is because it is design to kind of sit on your ear, just like the Sennheiser IE7 and IE8 do. If it was made with a longer nozzle or longer shaped tips, I think the isolation would be much better. These were surprisingly comfortable. At first I felt these would be like my ASG-1 experience, where it hurt my ears. Of course, these aren’t as comfortable as my PFE232’s, but these are certainly great, as long as you get a proper fit, and seal. 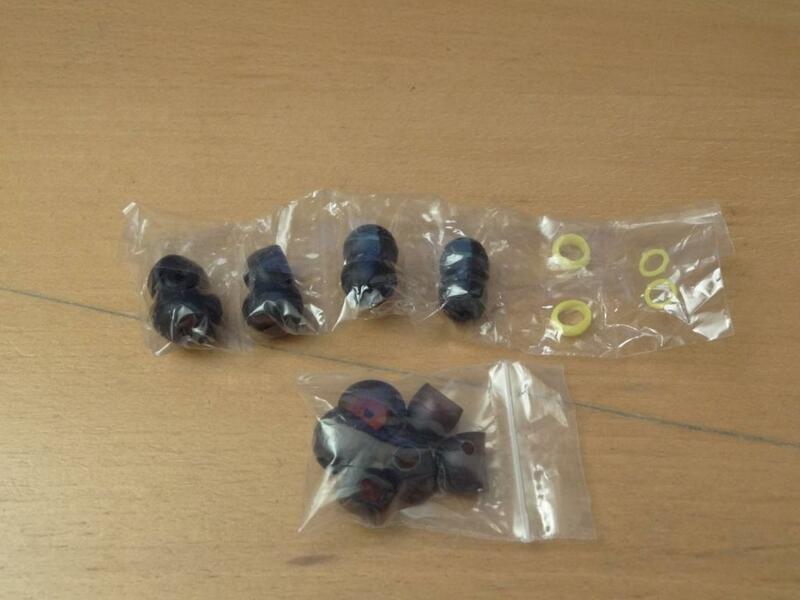 If you have small ears, then I doubt these would fit into your ears. That said, I wouldn’t suggest wearing these for long periods of time, as after a while you get the sense of something being jammed into your ear – when I listen to music after long period of time, I tend to get my earphones out for a while, and with the A03’s I get almost a sense of relief when I get them out of my ear – this is mainly due to the fact that they are large earphones, rather than them being naturally uncomfortable, so do bear that in mind! The sound quality was intriguing, like the rest of the other aspects of the A03. 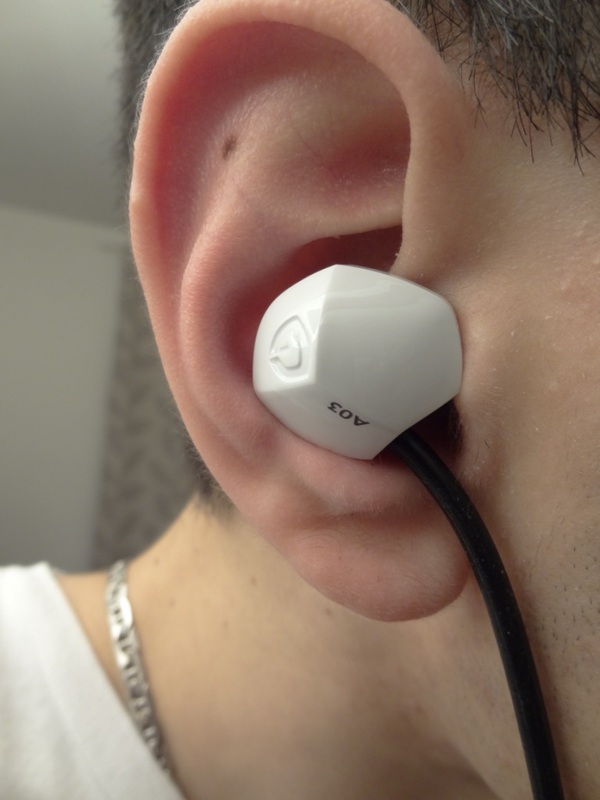 I think the A03’s are truly special in their presentation – both physically and sonically. With a dual dynamic, it was a true first for me. Now the highs are very nice, not making the sound sibilant, nor being rolled off. They are in my opinion very good, and have this nice subtle sparkle to them. However the mids, are a little different – and I guess it would depend on tastes. The mids remind me somewhat of the MDT’s, but with a twist. On some songs, I feel the mids are too-up-front for my liking, and on others I feel that the mids could do with a little push in the EQ. I think this is the proof of the dual dynamic earphones working sometimes very well together, and at other times not so perfectly. The sound signature, then sounds quite U shaped, however due to its dual dynamic design, it feels like the bottom of the U is actually on 0, and the highs and lows are above the flat line. Almost like your normal U shaped graph was pushed up. 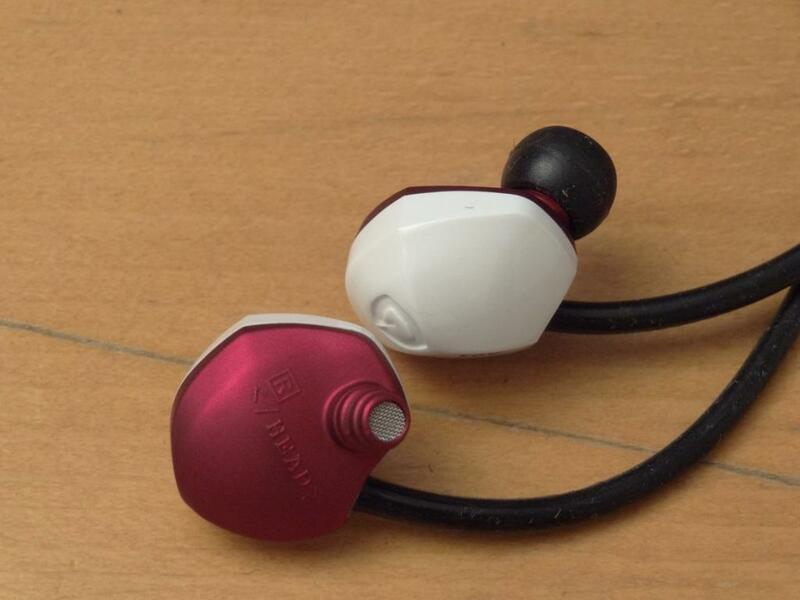 The soundstage is quite incredible – it reminded me vividly of the IE7 and IE8. However unlike the later two, the A03’s actually deliver perfectly through the other spectrum, and have no other problems. That said, with this quite big housing, and dual drivers, it sometimes feels that the sound is a little like in an enclosed cave. 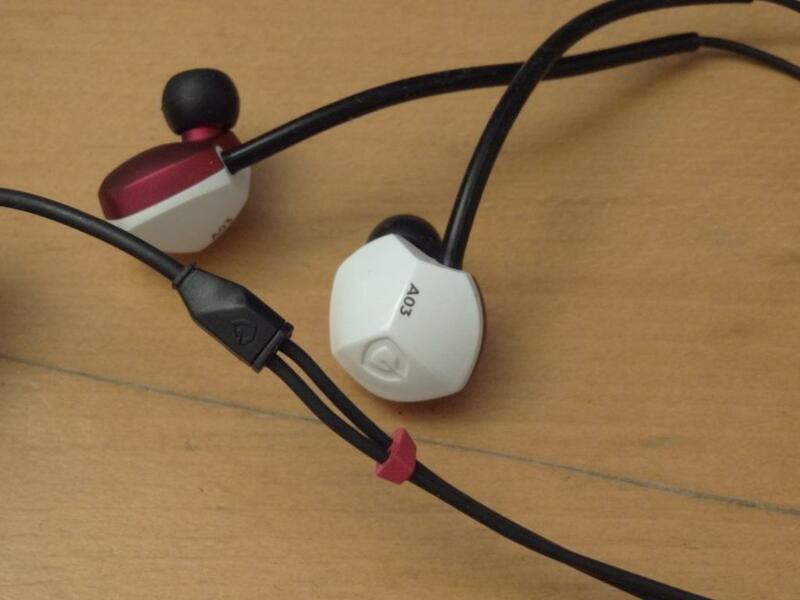 Personally, I really like the soundstage, and feel that people who really liked the IE7/8’s would absolutely adore the sound of these – and that’s coming from a guy, me, who rated the IE7/8’s quite low, due to their lack of fit/sound/jack. The A03’s would be a natural impulse buy I think if I was liking the IE8’s – except in this case, the A03’s are cheaper than both…basically a no brainer. 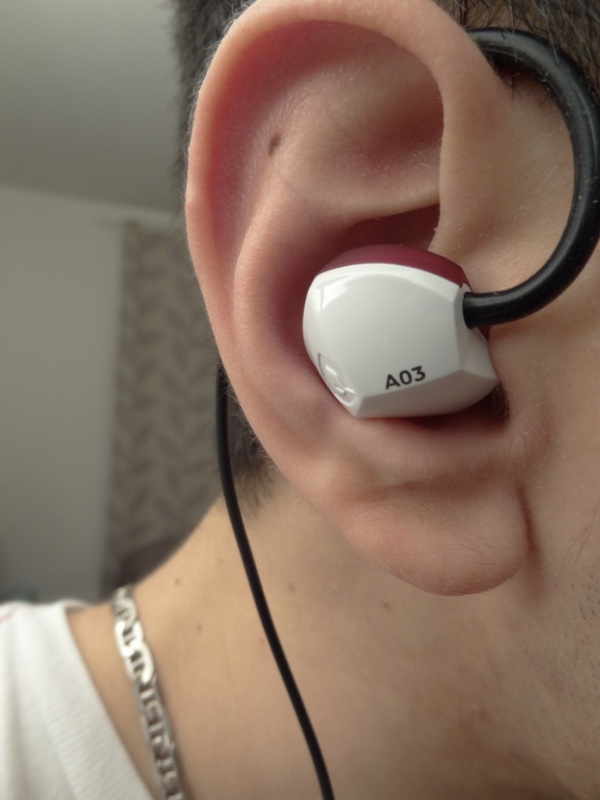 Overall, the A03’s are a special earphone – I feel that some people who try these out would be a little stomped by their sound, and some might really dislike it. it really takes time for it to grow on you, before exploding in your Galaxy as a RedGiant does. Honestly, I feel a lot of people should try these out, at least to have an opinion on them. What’s even more appealing is their price – in quite a competitive price range of the ~£100 price tag, I feel these are one of the best earphones I have heard in that price range. Albeit, these aren’t for everyone, and my PFE232’s are technically superior, these are truly a nice gem in our quite wide and diverse universe. 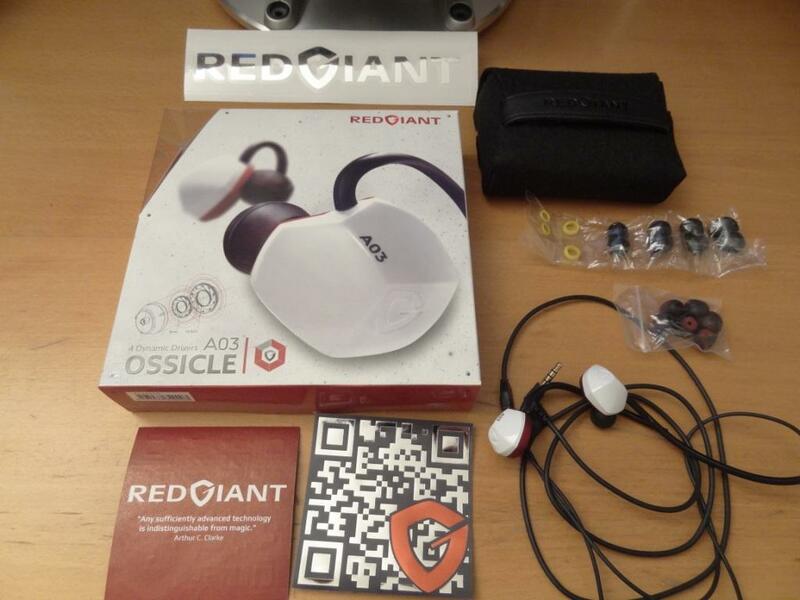 This entry was posted in Audio Reviews and tagged A03, Ossicle, RedGiant, Review on May 3, 2012 by TotallydubbedHD. I enjoyed your review of this product. I would like to ask whether you prefer the RedGiant AO3 or the Future Sonics Atrio MG7? I am interested in both and I am curious as to your opinions on both and which you find superior. Is it a Chinese company? No idea who the producer is, sorry! Bought mine a day before.Given a price tag of 150$, RedGiant A03 Ossicle should have blown out of the water my favourite Sony MH1C (35$)… And yet it didn’t happen.Wonder now where is this sound beauty hidden in A03? Will it reveal itself with longer burn-in?